Baronscourt has been the home of the Duke of Abercorn’s family since 1612 and is among a handful of old family estates in the British Isles which combine great historical and architectural interest with a landscape of outstanding natural beauty. 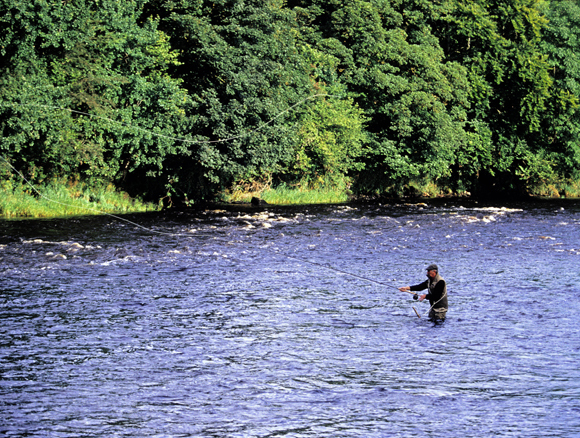 The River Mourne is certainly one of Ireland’s salmon fishing jewels. The estate has a private beat comprising of over 20 named pools, close to the junction of the rivers Derg and Mourne. The most renowned and famous pool is the Snaa which is a large holding pool before the confluence of the River Strule and River Derg. This high quality fishery is a “fisherman river” where good wading skills are necessary. It is mainly fished from the left bank. The fishing is let on a beat basis with two rods per beat and local expert knowledge can be provided by the Estate’s ghillie. The rolling catch average over the last 5 years is over 128 salmon per year from June to October. The Estate has three interconnecting private lakes which are the perfect place to fly fish for pike. Open year round pike fishing is a challenging and rewarding sport. 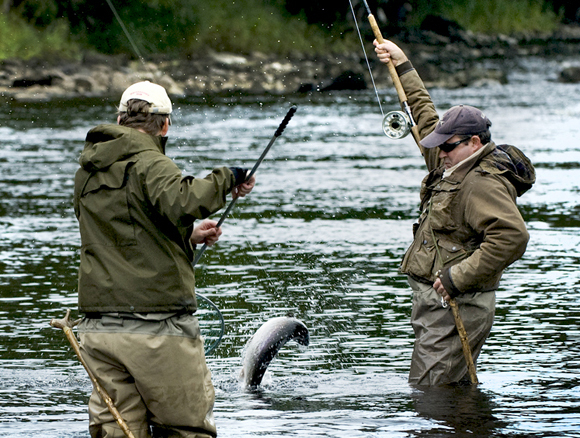 Fishing packages can be tailor made to include, salmon, wild brown trout and pike. Expert guides are available. Baronscourt attracts a high number of woodcock due to its mild winter climate, ideal cover and good quality feeding ground. Much of the woodland cover has been carefully managed to create the perfect habitat for woodcock and allows the guns to take both a sporting and safe shot. The shoot is led by the Head Gamekeeper together with a team of highly experienced beaters together with their well-trained dogs drive the woodcock towards the waiting guns. The ideal number of guns is eight. There is a minimum charge per day based on eight guns. 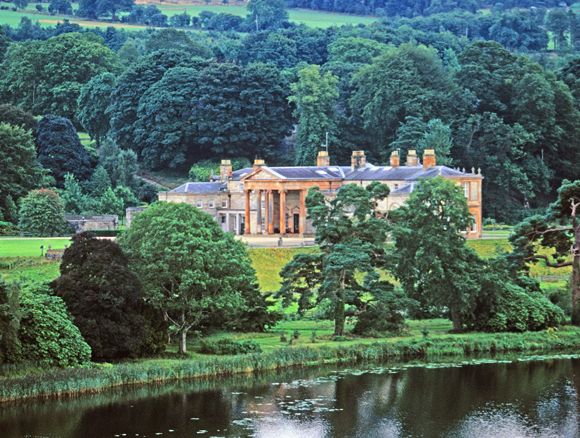 All the arrangements for shooting are made by the Estate including transport and a light lunch. Driven woodcock shooting is offered in November, December and January providing the team of guns a two day back to back shoot. As a guide the average bag expectancy is 15-20 birds per day, as this is wild game shooting no guarantees can be given. High quality driven pheasant and walked up rough shooting is available upon request. Baronscourt Estate offers two comfortable apartments in the Stable Yard. Both apartments are 2 bed, 2 bath and have attained a Northern Ireland Tourist Board 4 star rating, and is fully approved. They are fully equipped and modern throughout. All guests who either fish or shoot at Baronscourt stay in either the Clock Tower or Governors Lodge.